Edmonton’s downtown financial district is in the midst of an unprecedented development period that is reshaping the office market. The transformation is being driven by the introduction of 1.8 million square feet (msf) of class AAA office space over a three-year period between 2016 and 2018. The phased integration of three towers – Enbridge Centre, Edmonton Tower and Stantec Tower – has prompted a flight-to-quality scenario with tenants vacating primarily class A space to take advantage of the new developments. The increase in office inventory partly contributed to the increase in vacancy to 15.3% from 12.9% in downtown districts between Dec 31, 2016 and Dec 31, 2017. Compounding the effect was the recessionary period felt throughout the Alberta economy in the wake of the 2014 oil-price decline. In general, the city-wide trend saw vacancy levels consistently increase throughout 2016 and the first half of 2017. The most recent two quarters are showing signs of stability after many of the city’s submarkets experienced modest positive absorption. There were a handful of transactions in the Edmonton central business district in 2017 – most notably, the sale of 9Triple8 Jasper and HSBC Bank Place. Both buildings are the same age and within two blocks of each other. However, on a per-square-foot basis, they sold for dramatically different prices. The 9Triple8 Jasper property sold for $342 per square foot (psf). HSBC Bank Place sold for $108 psf. This price difference has prompted the question: What is the market value for an office building in downtown Edmonton? The 9Triple8 Jasper tower was completely redeveloped, starting in 2015 to a LEED Gold standard. The total renovation cost was $22 million ($124 psf). The building was 9.1% vacant at the time of sale. On the other hand, HSBC Bank Place was 58% vacant when it was sold. In order to get HSBC Bank Place to the same occupancy level as 9Triple8 Jasper, a costly and time-consuming re-leasing and renovation program will be required. This investment would likely make up a large portion of the $234-psf spread in sale price. So, to answer the question… well, the market value of a downtown Edmonton office building depends on a number of variables and, therefore, requires answers to more questions – namely, what is the current occupancy in the building? When was it last renovated? How extensive were the renovations? Is it a LEED-certified building? 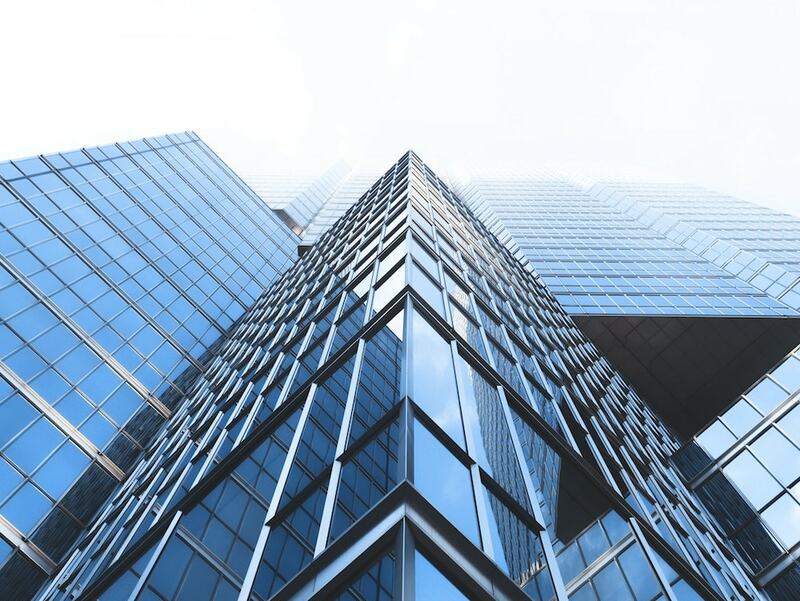 Going forward, we expect to see a wide range of prices, as landlords who have reinvested in their buildings will be rewarded through higher rental rates, higher occupancy levels and strong prices. Landlords who have not made these reinvestments and kept up with their peers will be faced with compounding challenges of lower rental rates, lower occupancy levels and difficult decisions about their assets. To that end, in the last few months both Centre West ($55 psf) and the former Enbridge Tower (approximately $100 psf) have been sold to purchasers who intend to convert these assets to non-office uses. Want to show your tenants what their future space will look like? Virtual Reality is an excellent tool to do just that. For the past 35 years, designers have shared their ideas for space with our clients using two-dimensional computer renderings. For more than three decades, these renderings have been the best way to convey the design being considered. 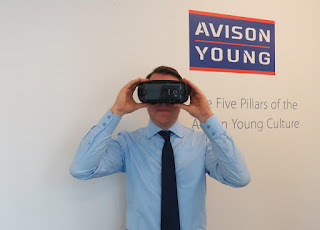 Working with a client recently, Avison Young took design to the next level by using Virtual Reality (VR). For a tenant, Avison Young is also project managing the design, build-out and move into a new 175,000-square-foot office space. The new office space features lots of natural light, no private offices and low-height workstations, and will be LEED-certified -- the location is a modern departure from our client's current office space and a change for our client's employees. During the design process and before the physical build-out we needed to convey the design to our client's executives. We also needed a tool to help our client's employees experience the new space and start becoming comfortable with the change prior to the move. Avison Young proposed using VR to meet both objectives, and as a way to engage the employees in voting on two options for design finishes in key spaces. We telephoned a rendering firm (Norm Li) for a VR quote. Norm Li asked us how many VR renderings we wanted, what spaces we wanted in VR and if we needed the hardware. (This was our first time using VR, so, yes, we needed the hardware, too). We received Norm Li’s quote by e-mail and forwarded it to our client for approval (Our client paid for the renderings and Avison Young paid for the hardware: two VR headsets and two mobile phones to attach to the headsets). Our client returned the signed quote by e-mail, which we forwarded to Norm Li. Once Norm Li was formally engaged, we connected Norm Li to the designer, so the designer could e-mail Norm Li the two-dimensional renderings of the new office space. Norm Li turned the two-dimensional renderings into VR and delivered the hardware, with the renderings loaded, to Avison Young’s office. If you have not experienced VR, you must. When the package arrived from Norm Li, I put the VR headset on immediately. I was transported inside the new office space and amazed. VR is a completely immersive experience and blocks out the physical world around you. It’s perfect for conveying an experience of commercial real estate that does not yet exist in our physical world. First, we presented the VR experience to our client’s internal project team. They loved it! Next, we presented the VR to our client's two executive project-sponsors. Both executives put the goggles on simultaneously, and we provided verbal instructions to help them navigate through the various spaces. It was interesting and exciting for them to experience the proposed space. Lastly, we scheduled two days for our client's employees to experience their new office space in VR. These two days were one component of our overall change-management strategy and plan. We set up a room with a display of the two-dimensional renderings, samples of the finishes, and a VR station. Using a new technology tool created excitement about the future office space for employees. VR also helped with the voting process for different finishes. VR was a hit with the employees and generated a lot of discussion and excitement about the future office space. This example shows how Virtual Reality can be an excellent tool to help your tenants experience what their future office space will look like. The future of commercial real estate is here! Earlier this month, Amazon released their list of 20 cities for its second headquarters (HQ2) and Houston was not among them. Should we be concerned that the 5th largest company in the U.S. will not be seeking 8 million square feet of Class A office space and providing potentially 50,000 jobs to the Houston area? Or, are we primed for an economic boost despite Amazon’s dismissal? From business reporters and columnists to commercial real estate heavy hitters and economic development organizations - they have all been weighing in on why Houston did not make Amazon’s HQ2 short list. Most point to lack of mass transit infrastructure, technology talent, and incentives. Hurricane Harvey did not help our bid either. Energy, finance and technology are just a few of the strongest driving forces of the U.S. economy. As the energy capital of the world, Houston has always attracted Fortune 500 companies in the oil and gas industry such as Phillips 66, Halliburton and Marathon Oil. In fact, there are 25 Fortune 500 companies headquartered in Houston. Healthcare has also been an emerging economic driver and Houston is home to the largest medical center of the world, the Texas Medical Center (TMC). The TMC may be Houston’s best kept economic secret despite being home to the world’s largest children’s hospital and the world’s largest cancer hospital. Healthcare is the fastest growing industry and has more potential for growth. It averages about 10,000 open positions throughout the year. And, we are not talking about just nursing jobs, where there is currently a shortage, but also technical jobs in research and development and education. Currently, the TMC has $3 billion in construction projects underway and more to come. By uniting the collective renowned hospitals, public health organizations, universities, medical, dental and pharmacy schools and academic and research institutions, the TMC is poised to transform health, education and research needs of Texas and the world. And, it’s all taking place right here in Houston. The Houston technology labor market’s primary focus is energy and healthcare, perhaps a labor market that Amazon is not willing to compete with, and that’s okay. Ultimately, Amazon may not have felt at home here, but the outlook for Houston remains positive. If 2017 showed us anything, it’s resilience.